From the author of Surfing the Himalayas and Snowboarding to Nirvana comes an effective and complete program for overcoming stress, tension, worry, and fatigue. Whether you are a businessman who has been told by your doctor that your blood pressure is too high, a working mother who is overwhelmed and irritable because your family and career require more time and energy than you have, or a young person subject to a host of economic, social, and personal pressures, you need a simple and practical method of easing the tension and stress in your life. 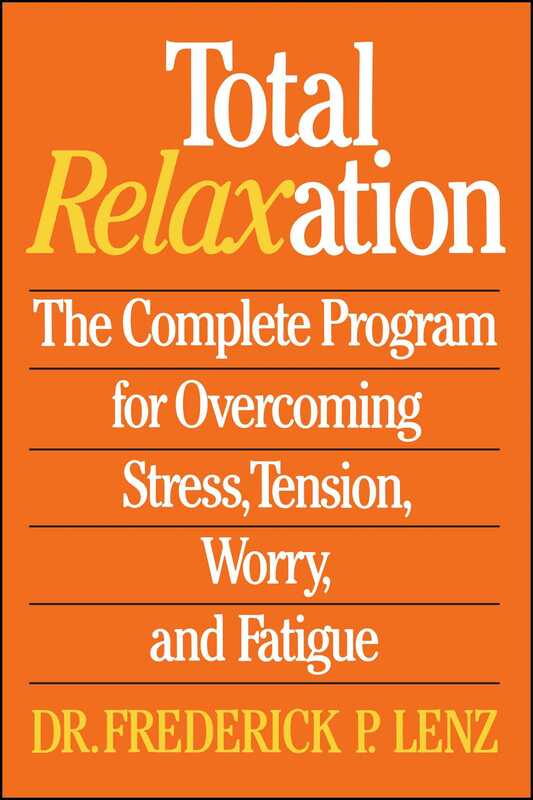 Dr. Frederick P. Lenz, one of the foremost experts on stress and relaxation, delivers an easy and practical approach to managing stress. Included is a series of 12 relaxation techniques consisting of specific thought and image patterns designed to help you reach a level of total restful, refreshing relaxation. These exercises are easy and enjoyable and can be done anywhere at any time—and it works! Total Relaxation is more than a book on how to unwind after a busy day at work. It is required reading if you want to maintain your health and to reach your true potential.